Nexdim Empire » Blog Archive » INTERVIEW: KREEF ENT. 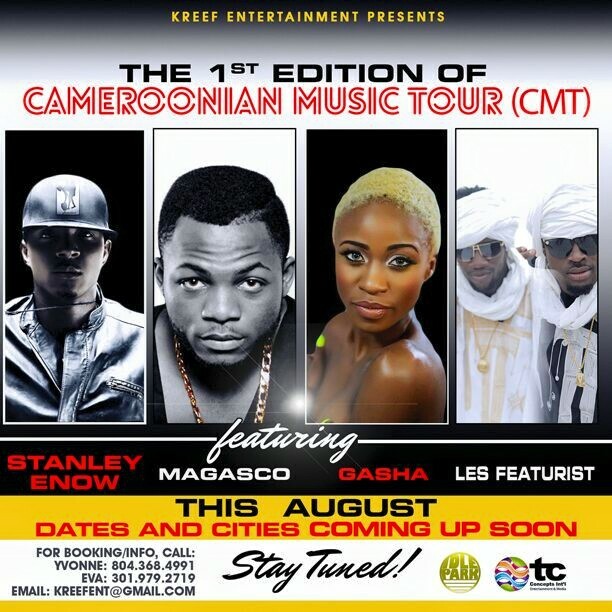 SPOTLIGHT ON CAMEROON MUSIC TOUR (CMT) USA. INTERVIEW: KREEF ENT. SPOTLIGHT ON CAMEROON MUSIC TOUR (CMT) USA. Cameroon’s burgeoning urban music industry is gradually gaining potential worldwide. One of the pragmatic and prime movers and shakers of the industry is US-based entertainment marketing , promotion and event organising agency Kreef Entertainment . 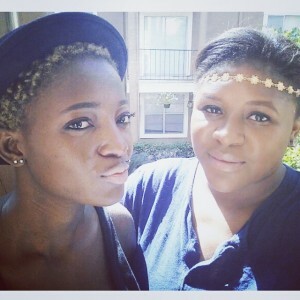 NexDim caught up with these two strong and indomitable-spirited ladies behind this positive Idea of trending Cameroonian showbiz ; Ebangha Njang Yvonne and Eva Ndumbe. Nexdim: Hello Ebangha and Eva. Accept hearty greetings from Nexdim Empire. It’s my pleasure having you. Ebangha Njang: Awww thanks a lot. Our pleasure too. Nexdim: It’s been a longtime coming and you’ve established yourself as a frontline urban music cultural promoter across the world. USA being your strong hold . Tell us about your agency Kreef Ent. Nexdim: Thanks for throwing light on your objectives. Can you both define your roles. Eva: I mostly handle the business part of Kreef. I draw up contracts, do research on new songs and upcoming artists, handle the emails. Yvonne is more of the face of Kreef lol. We both handle marketing and promotion. Nexdim:Yea. The public perceives Ebangha as the mascot. lol . We are familiar with Ebangha not Yvonne. Most captivating are her intriguing posts and videos on social media. A ‘Kim Kardashian-type’ most call her. Ebangha do you get critics for your social media gimmicks? Ebangha Njang: Lol @ “Kim Kardashian type”. Is “critics” the word? That’s elevating! I get a lot of criticisms but for the most part I get a lot of support and encouragement online. So far so good. Nexdim: Great. A few days ago a flyer popped online that caused a stir of controversy. The maiden edition of Kreef Ent. Tour with Stanley, Magasco, Gasha and les Featurist shortlisted for the debut. Please tell us about the concept. Eva: Kreef is all about exposing Cameroonian music to the world and we have very talented artists in Cameroon. We are tired of attending concerts by Nigerian/Ghanaian/Ivorian artists. It’s about time our artists get the same respect other African artists get. We decided to organize a tour so other Africans can get to know them and enjoy their music. Nexdim: Thanks Eva. Laudable! How was your journey booking the artists and securing the venues? Ebangha Njang : Honestly, we thought it was gonna be hell but all the artists involved in the project were so understanding and humble. Seriously! Some of the artists went as far as giving suggestions to help with the tour. Imagine that! As far as venues, they’re all gonna be cities here in America, we got a good team so we got that covered. Nexdim: Okay. Immediately the flyer featured online, a myriad of Jovi fans went on rampage. Most hilarious was a fan called “Ettiene” who took to Facebook angrily . Why is the Mboko god not on this list? Eva: Lol. We actually reached out to Jovi and his team concerning the tour. Unfortunately he had other obligations. We hope to work with him in the future. Nexdim: Thanks for the clarification. I hope Jovi fans will be pleased. Eva: I hope so too. Nexdim: It’s very impressive to launch such a fabolous tour. It’s going to hold this August. How often will this event come? Ebangha Njang: Amen. Eva. Amen. Nexdim: It’s the very first for the urban music industry in Cameroon. Many other artists will love to jump into the train next time. What’s your criteria for selection? Ebangha Njang: The artists trending not only in Cameroon, but in the diaspora at that given time. Pretty much that’s it. So artists just have to work hard and get those hit songs ( at least 1) where they’re played everywhere. Most Cameroonian artists have a ton of good songs but there is no hit amongst them. The artists involved in the project all have 1 or 2 or more hit songs played in clubs and parties here in America and Europe too. So u get the point right? Nexdim:Yea. that’s so right. Are there any difficulties you encounter setting up this platform for our Cameroonian artists? Ebangha Njang: Ummmm I’ll not call them difficulties though. They are trials (lol ) but it’s all good and artists are actually coming out of their shells. Cameroon has a lot, I mean a lot of talented artists but they are so camera shy and they haven’t yet realized the importance of online promotion. Nexdim: I was about to nail that point. Online promotion as opposed to offline buzz. What’s your take? coz there are so many trending songs offline that are not making an impression online. Eva the marketing guru. Answer lol. Eva: I am not a marketing guru lol, I try my best. Well I think the path Cameroonian music is taking right now is digital. Everyone in Cameroon now has access to social media and using that platform, as an artist, to create a buzz is very important. The more people talk about it online, the more people want to listen because everyone is talking about it. Nexdim: Kreef Ent. is a growing niche and bound to face competition. What makes you different from other event organisers and marketers? What’s special about you. Ebangha Njang: Kreef is focused ONLY on promoting Cameroon talents. I guess that’s different enough (lol). Eva: Yes!! We try as much as possible to stay focused on what Kreef represents. Nexdim: (lol). Well planned. Kreef Ent. Any plans for a website ? Eva: We have plans for a website which is under construction. Will be launched by the end of June/beginning of July by God’s grace. Nexdim: Okay. We shall patiently wait. Is your focus just trending urban artists or makossa- bikutsi fills in? Eva: All of it. Makossa and bikutsi are our “musical identities”. No other music genre can get a Cameroonian, at home and abroad, nostalgic like makossa and no other genre can make a Cameroonian go crazy on the dance floor like bikutsi. You cannot promote Cameroonian music without those two. It will make no sense, honestly. Nexdim: Any fave Cameroonian music ? Eva et Yvonne. Eva:What genre? Makossa or Urban or Bikutsi? Nexdim:Lol. music is music. Are there any two faves? Ebangha Njang:( Lol) Yes. My two faves of the moment right now are Charlotte Dipanda’s “Elle n’a pas vu” & Minks “Les Pantheres”. Eva: Mani Bella – Pala Pala, Teddy Doherty and Inna Money – Je Veux, Peter Jericho – Kamer 4 Life, Dareal – Petite Pause etc so many. Nexdim : Wow. Nice playlist on Nexdimempire. Any plans of signing artists?. Eva: We have the talented Peter Jericho who just released a single ” Kamer 4 Life” You can listen to it on his SoundCloud and we have other amazing artists coming board. Nexdim: Oh yea. Listened to the song .Good one. And his cover art had Kreef Ent. Great. Shout out to Peter Jericho. What else do you have for the future? Ebangha Njang: Kreef’s future has a lot and it includes a studio and a discotheque, yes discotheque lol. Nexdim: Wow. Discoteque?. lol. Okay hoping to see a tremendous evolution. Ebangha Njang: Yes. Discotheque. (lol). Kreef wanna revolutionised 237 music and artists. God is with us! Eva: Yea. We are working on getting office space in Cameroon. Nexdim: ’twas nice having you on Nexdim Empire. What are your last words to the public? Ebangha Njang : KREEF is here for all Cameroonian artists. Let’s join hands and Trend Camer. More hits and less beefs. Can Eva say Amen? Eva: (Lol ). Amen. Let’s support our artists. They work so hard and deserve all the love and support. Team work makes the dream work and all those supporting us THANK YOU. It’s all by His grace. Nexdim, thank you for having us. Ebangha Njang: Thank you very much Nexdim Empire. Kreef appreciates a lot! Nexdim: Keep up the good work and we hope to get updates about the Cameroon music tour.